That means the company no longer supporting the browser. Microsoft is replacing Internet Explorer with the Edge browser. The company posted a message on its website on Tuesday, urging users to upgrade to Edge if they are still using Internet Explorer. 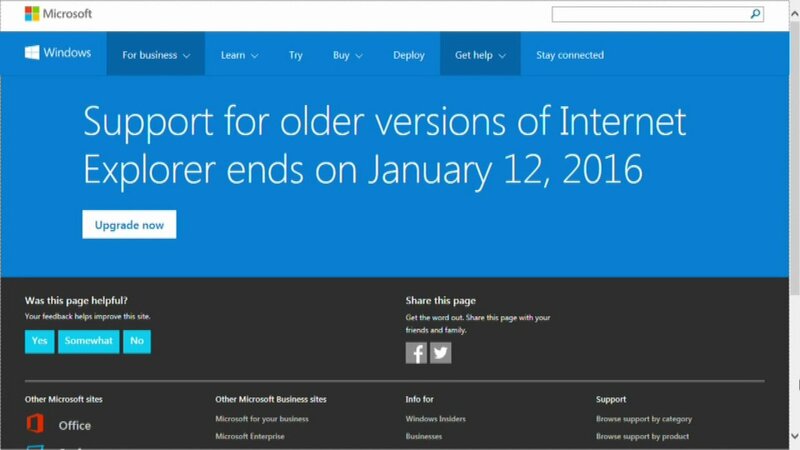 Microsoft warns of possible security issues, with using an older browser.